The National Cancer Institute organized a Workshop on Lineage Plasticity and Androgen Receptor-Independent Prostate Cancer in a joint effort by the NCI’s Division of Cancer Treatment and Diagnosis, Division of Cancer Biology, Center for Cancer Research, Coordinating Center for Clinical Trials, together with investigators of the NCI SPOREs in Prostate Cancer and the Prostate Cancer Task Force of the NCI Genitourinary Steering Committee. This workshop occurred on December 6-7, 2018 at the NIH Main Campus in Bethesda, MD and was chaired by Drs. Himisha Beltran, Bill Dahut, and Peter Nelson. 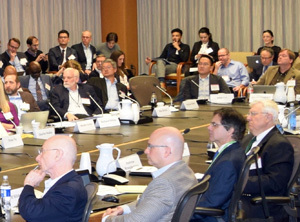 The meeting assembled leaders in the field to share scientific insights and identify emerging opportunities in basic, translational, and clinical research (agenda). Scientists and clinicians focused on enhancing knowledge of the fundamental role of lineage plasticity in driving the progression of multiple cancer subtypes and in impacting treatment response. Four working groups tackled molecular, preclinical, and clinical aspects of this continuum. Experts who are investigating the role of lineage plasticity in other cancer types provided their knowledge and experience. Scientific sessions covered the scope of the problem and the cellular and molecular biology of androgen receptor-independent prostate cancer, and attendees discussed translational strategies to advance basic discoveries into the clinic. 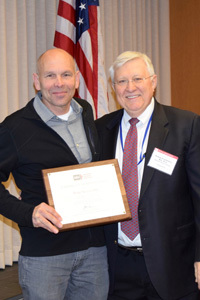 The scientific expertise, dedication, and genuine passion of the late Andrew Hruszkewycz, MD, PhD were instrumental in the success of this workshop.